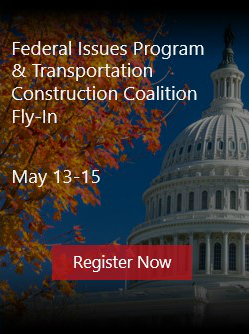 Through federal contracts, ARTBA’s Foundation provides the following training and education at no charge. Developed through a series of contracts with FHWA and OSHA, Roadway Safety+ is the most widely vetted, vertically integrated and most advanced interactive software for road construction safety. This 2- to 16 hours (2 days) course can be tailored according to the needs of the students. It contains 35 interactive training modules, 29 toolbox pamphlets, five trainee booklets, 13 guidance documents, and two instructor guides. A minimum of 20 students per class is required. Aimed at preventing occupational deaths and injuries associated with falls in highway, street and bridge construction, this multi-faceted program includes comprehensive training and information on: horizontal life lines; swing falls; anchorage points; fall prevention ensemble components and selection; self-retracting lifelines; aerial work platforms; rescue and suspension trauma; mounting and dismounting equipment; and walking and working surfaces. Developed in partnership with the National Institute for Occupational Safety and Health (NIOSH) and OSHA, this 3-hour course explains for contractors and their employees how they can help reduce fatalities and accidents in the roadway construction industry by separating trucks and heavy machines from workers on foot in the work zone and creating an internal traffic control plan. Surveys of participants have shown this course substantially improves organization and safety behavior in the work zone. This course requires a minimum of 20 students, but no more than 40 per class. This innovative ARTBA program helps teenage drivers better understand the hazards of driving through road construction zones. It comes with a training video, interactive CD-based driving simulator, searchable CD-library, and other classroom instructional materials. For information about program scope, contact Brad Sant at bsant@artba.org or 202.289.4434.